Camarillo’s location plays a unique role in Ventura County. Located at the base of the Conejo Grade, Camarillo’s agricultural lands are the first to be seen in Ventura County by visitors and residents traveling north on the 101 freeway. 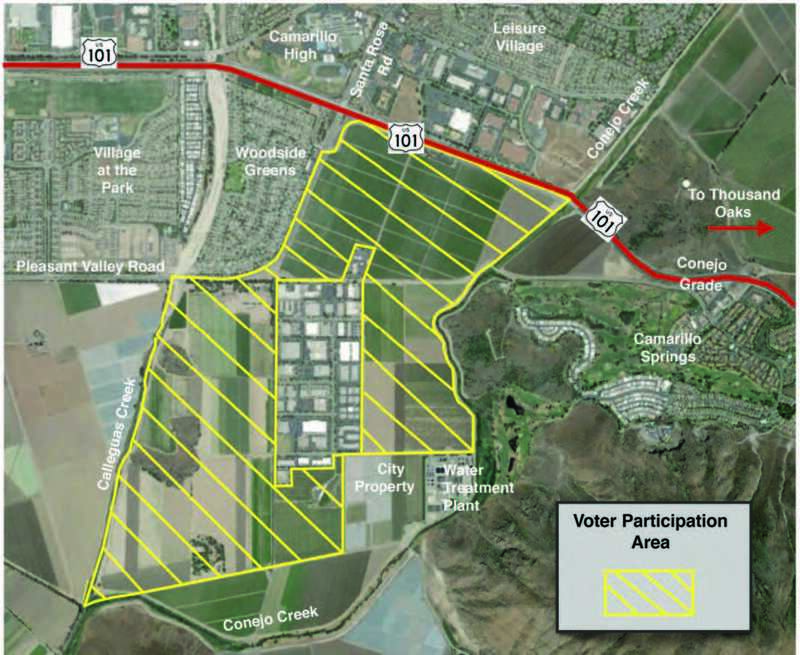 The Camarillo SOAR not only renewed the City Urban Boundary Restriction Boundary (CURB) around the city, it also included a “Voter Participation Area” that gives residents a right to vote on that farmland we all see at the bottom of the Conejo Grade that was once part of a massive 750-acre Conejo Creek development proposal. SOAR and the Camarillo City “Voter Participation Area” helps to preserve this iconic “farmland view to the sea” and communicates our commitment to protecting fertile farmlands and open spaces. In addition, traffic congestion through the Camarillo Corridor is impacting the effectiveness of our 101 Freeway, the only high-capacity North/South transportation infrastructure through Ventura County. Development generates thousands of daily car trips on our roads, while SOAR protected agricultural land and open spaces provide room to breathe and help keep our economy both diverse and productive. 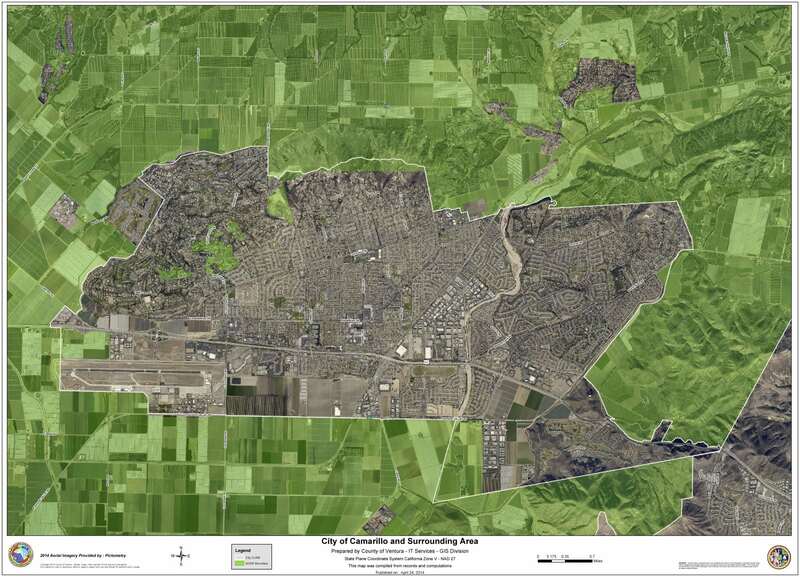 View the Camarillo SOAR initiative (Measure J) passed in November 2016. 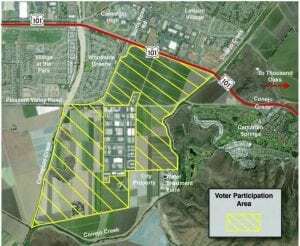 In November 2016 Camarillo voters extended SOAR voter protection to the shaded area in the map below, at the base of the 101 Freeways Conejo Grade.